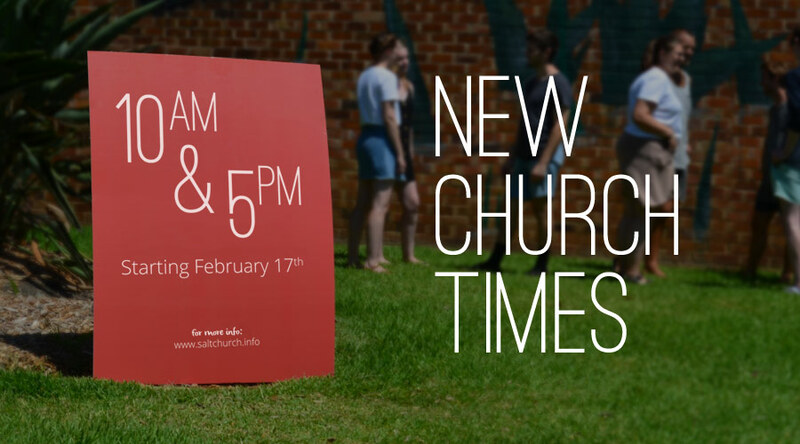 From February 17th our church times are going to be 10am & 5pm each Sunday and we’d love for you to join us. It will be laid back and everyone is welcome – whether you’ve been a churchgoer your whole life, been away from church for awhile or never been at all. There’ll be lots of friendly faces and we’d love to connect with you. We’ll be doing what we’ve always done as a church – gathering in community around God’s word, the bible and encouraging one another to know and follow Jesus more and more. We think church is the best way to finish the weekend! Everyone is welcome. Hang around afterwards for a free community dinner from about 6.30pm.